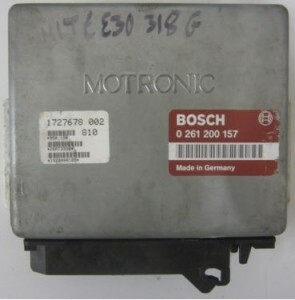 It is a Bosch DME M 1.3 ECU and we are able to fully test and rebuild these units. We are able to fully test and rebuild these ECU’s with a 12 months warranty and all within a fraction of the price of a new unit. Our typical turnaround time for this type of ECU is just 3-5 working days. If you’re unit is found to be faulty and cannot be repaired, we may be able to offer a replacement unit and code it to your vehicle – making it fully plug & play. This entry was posted in BMW, LATEST NEWS and tagged 0261200157, 0261200172, 0261200173, 0261200174, 0261200178, 0261200179, 0261200380, 0261200381, 0261200386, 0261200387, 0261200989, 1722611, 1726684, 1727674, 1727678, 1727679, 1730573, 1730574, 1730575, 1730576, 1734179, 1739035 by smartAjaz. Bookmark the permalink.